Before and progress photos of a ground level deck and pool pump house in Richmond Va. We used 6 x 6 support post on a 12″ x 12″ solid footing. 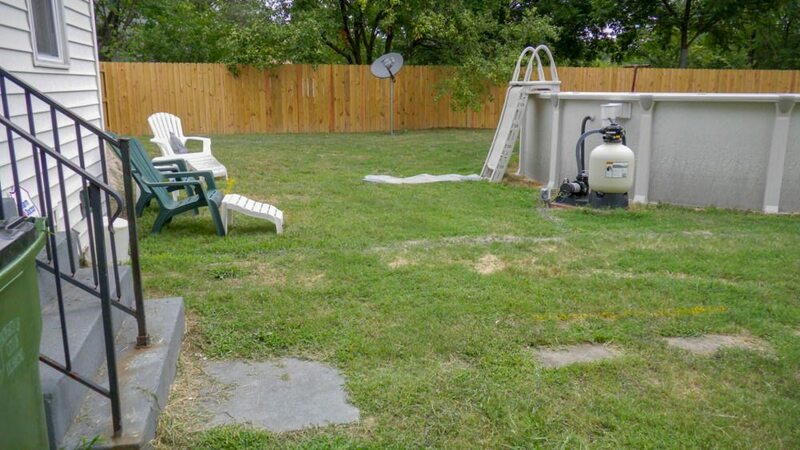 Before photo of area where deck is to be built. Lumber is pressure treated and was installed with engineered framing fasteners. 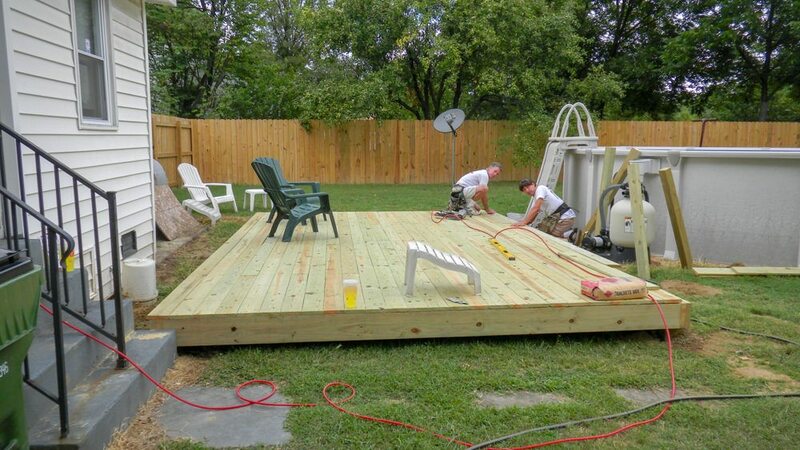 Decking size is 5/4″ x 6″ and will be installed with hot dipped galvanized nails. Please check back soon as we will be posting final photos. Visit our contact us on the website and we will be back to you as soon as possible. Also, visit our Deck Section of the website to see examples and our finished jobs. Click here to get a quote.